The grapes are all from Grand Cru vineyards which were under vine during Churchill's lifetime and it is only ever made in the very best vintages. 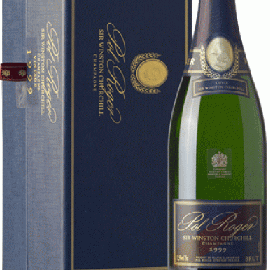 It is made in a style which Churchill himself favoured: robust, mature and long-lived. the robust, mature style that he liked so much. Pinot Noir dominates 70-80% of the blend with the rest being Chardonnay. exceptional overall balance and long ageing potential.